Memories may fade but photographs last forever. Big, bold and beautiful, our customized backdrops elegantly and affordably set the scene for photography. 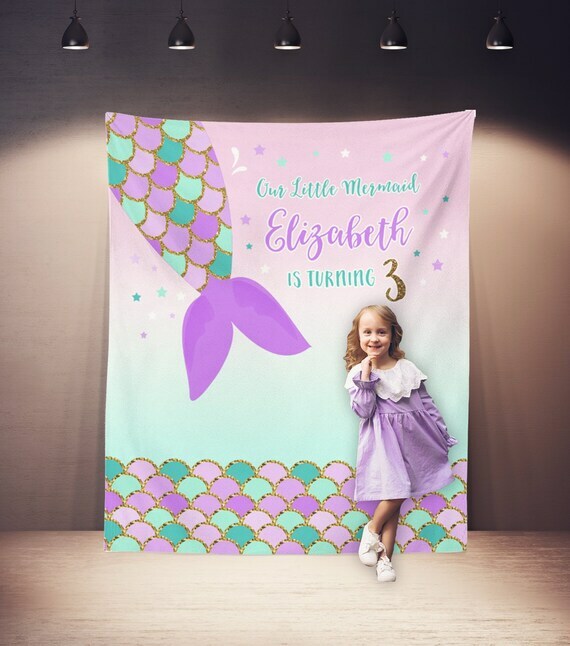 Display your custom banner at the engagement party, ceremony, reception, bridal shower or any other wedding event to serve as the picture perfect background for photos of you and your hubby-to-be and/or guests. Our printed backdrops (tapestries) are printed on 100% lightweight polyester giving you a finished edge, fine line detail and intense vivid colors that is easy to hang. This backdrop can be customized for any other event, such as baby shower, graduation, or birthday! 1 | Choose the size in the dropdown menu and purchase the listing. 3 | We will create and send you the digital proof file to via Etsy convo 24-48 hours of receipt of all wording information and payment. Please review carefully! 4 | Let us know if you need changes or if it's approved. Once we have received your approval, we will begin the print process. *Please make sure your shipping address is correct. - Free digital proof sent to your email within 1-3 days. - Once carefully reviewed & approved, your order will go to production. • PRODUCTION : Up to 7 days from the time of approval. • Banner may show or crop slightly more of the artwork than original proof.